Crescent School issues report cards each term to help students measure their academic progress. Now, for the first time, Crescent has published a report card on its own progress. 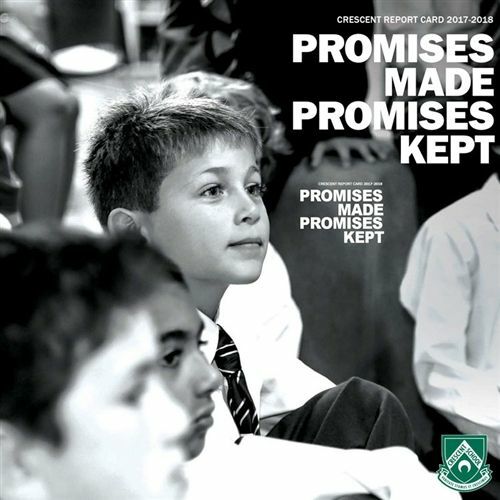 Titled Promises Made, Promises Kept, the Crescent School 2017/2018 report card provides a snapshot of Crescent’s major strategic accomplishments and departmental highlights in the past year. The report card was released on September 25, 2018 at Crescent’s annual Town Hall event for parents and alumni.